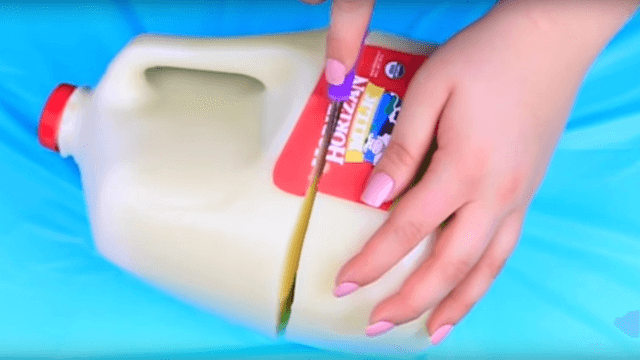 These oddly mesmerizing videos of people slicing through soda-shaped Jello will also give you a great prank for April Fool's Day. Here's something that is delicious and weird and cool and kind of creepy: people are molding Jello into the shapes of plastic beverage containers, putting labels and caps on the Jello, and then slicing them up for fun and for eating. Like many other mesmerizing parts of the Internet, it's better explained by watching. Any of these things would make a weird and delightful April Fool's Day joke. You can serve slices of bottled water at your office!